Dining on the Isle of Skye can be a bit hit and miss. With visitors peaking in the summer months, one can easily worry about being lured into the tourist traps and getting an underwhelming meal, particularly with the Skye Tourist Map distributed in seemingly every hotel, hostel and information center. 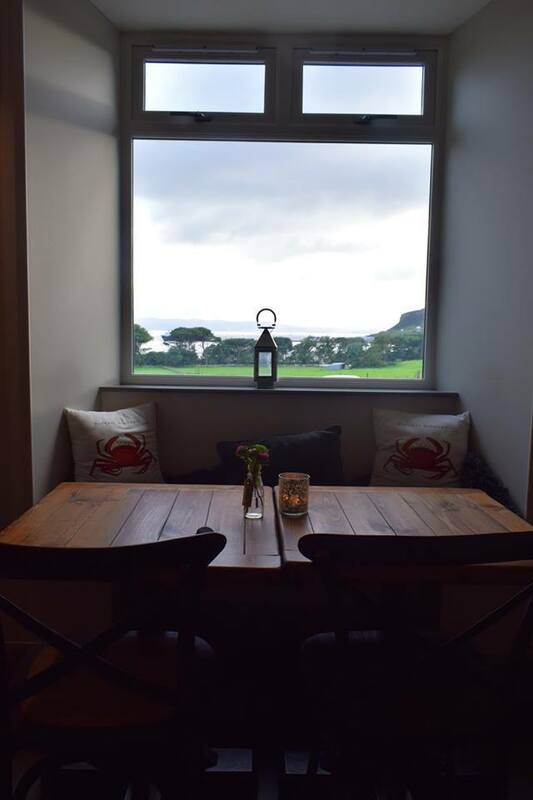 So whilst visiting Uig in the north of the Isle it was a fantastic surprise to find a beautiful gastro-pub where the quality of the food matched the relaxing décor, with exemplary service as well! Enter the Ferry Inn. 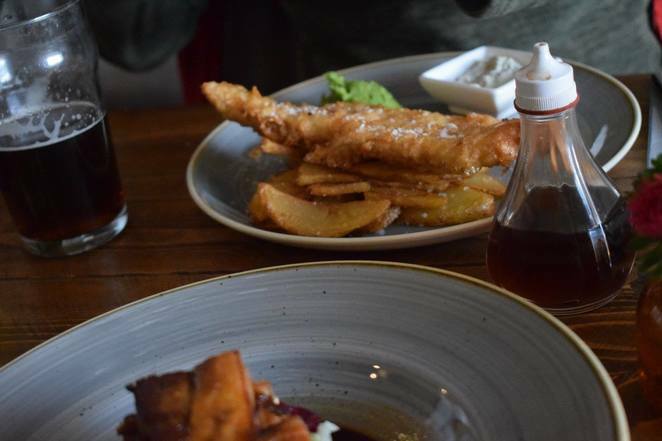 Situated on the outskirts of Uig, a small town listed on the tourist map for a waterfall and the Isle of Skye Brewing Company, there are few dining options available to locals and visitors alike. A handful of cafés alongside the ferry terminus for those traveling to the Isle of Harris seemingly comprise the food options in the town. 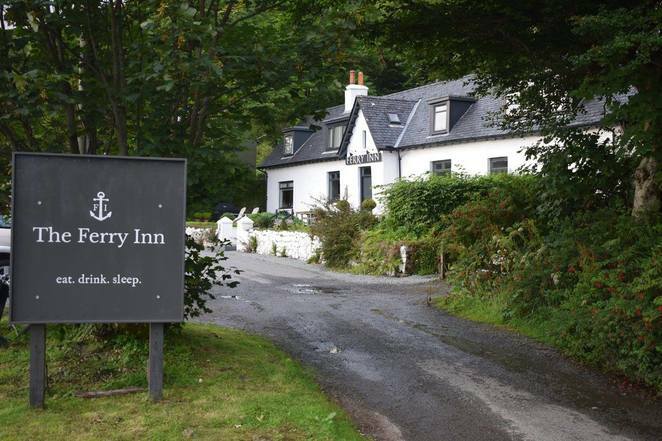 But if you drive along the main road south, keep an eye out for the Ferry Inn's welcoming frontage. Eat, Sleep, Rooms. A perfect summary. With 4 luxurious rooms available and a small bar/restaurant seating approximately 30 covers this venue would be overwhelmed by demand in more popular locations like Portree, but in Uig we were fortunate enough to arrive for dinner at 7pm without a reservation and be accommodated in the middle of August. Service is friendly, professional and warm, the distinction between the team here and various other venues about the isle was profound, it was clear that providing a welcoming and relaxing atmosphere for diners is high on the priority list for all staff. The service is well complemented by the luxurious yet simplistic décor. Faintly reminiscent of Scandinavian style, with a luxurious, warm atmosphere the venue still retains a clear personality, potentially facilitated by the collection of Rolling Stones portraits that adorn several walls. It is also nice to see that the Inn supports local goods and services, with even the hand-soaps and lotions in the bathroom being locally sourced. The food was exceptional, particularly for the price. 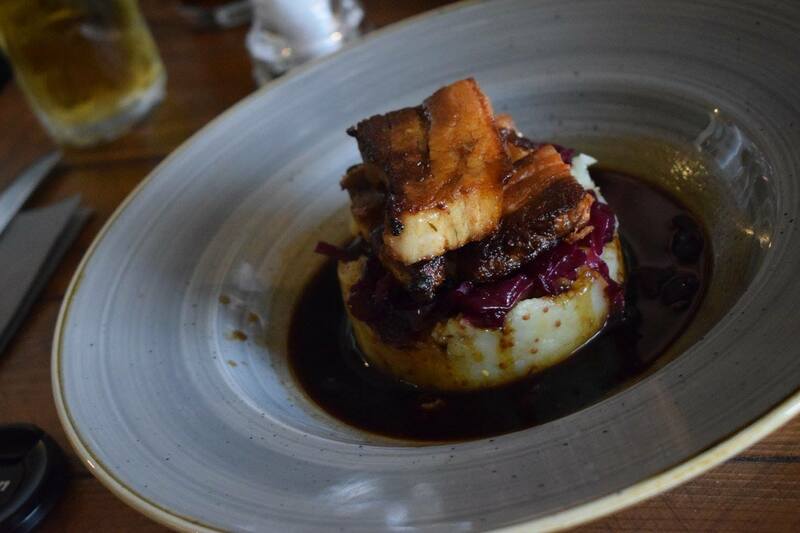 Perfectly cooked pork belly with a great balance of tender pork and snappy crackling, served with mustard mash, braised red cabbage and cider jus was far above the standard I was expecting at the £13.50 price point. The dish would not have disappointed in a central London venue with a price point of over £20. 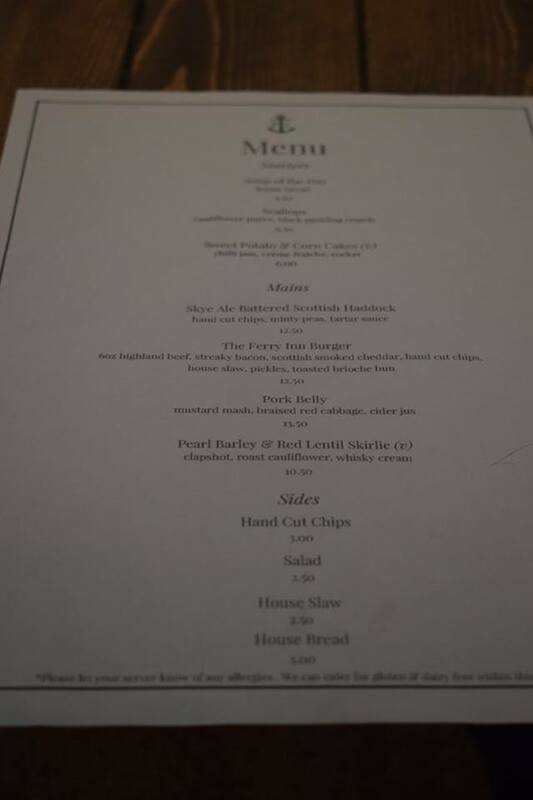 Similarly, the Skye Ale battered Scottish haddock, served with hand-cut chips, mushy peas and tartare sauce clearly demonstrated the distinction between a 'chippie' version of fish and chips, and the real thing which was generously sized and priced at £12.50. Both were truly satisfying meals, and well complimented by a starter from the specials menu of seasonal veg with feta and pesto. It should be said that there is nothing terribly innovative with the menu, the offerings are akin to most British gastro-pubs, however the dishes are classics and the kitchen knows how to do them extremely well. With Uig only 20-30 minutes drive from Portree, if you are out on the Isle don't think that the only dining venues are in the main town. Make sure you spare the time to visit this charming inn by the water, and guarantee yourself a table by calling for a reservation in advance. Or if camping in the local area like we did, perhaps drop in as soon as you arrive to secure your table. Reopening after a refurbishment earlier this year, with food like this, word is sure to spread so demand will likely be up by summer 2019. Don't miss out on the fantastic food experience, in luxurious surrounds, nestled in the scenic hillscape of Uig.